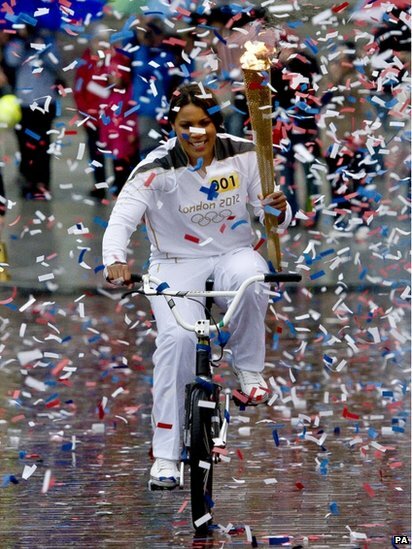 Team GB's BMX world champion Shanaze Reade started off the day's relay by riding the torch through a colourful flurry of confetti in Salford Quays. 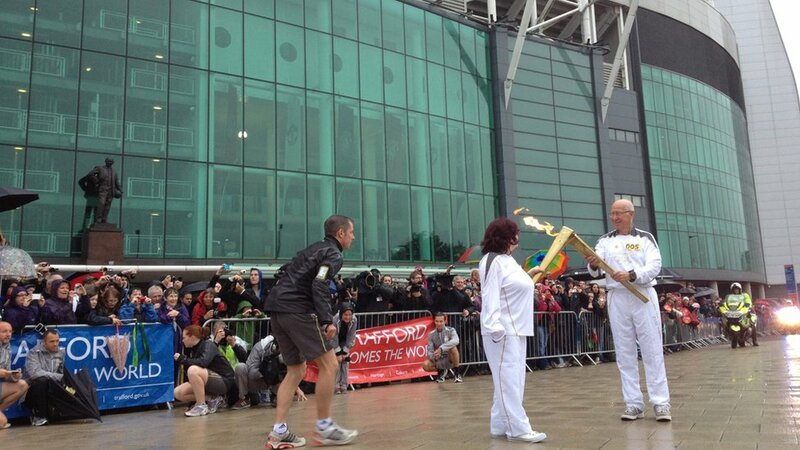 Kirsty Howard carried the flame on the leg between Salford and Moss Side to the Imperial War Museum. 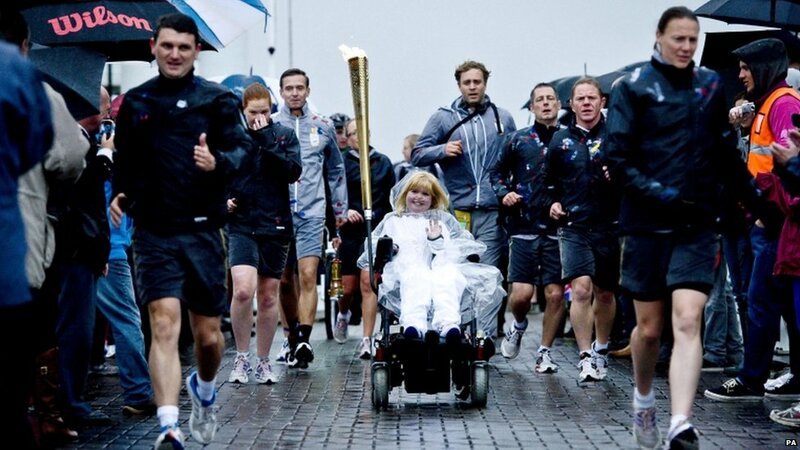 In February 1999, she was given only six weeks to live, but defied the odds. She is the only person in the UK, and just the second in the world, to be born with her heart back-to-front, causing the misplacement of her internal organs. 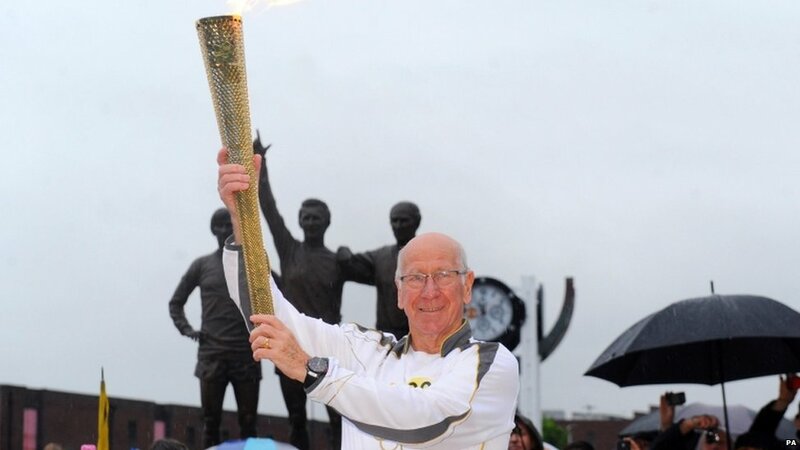 Sir Bobby Charlton, the 1966 World Cup winner and Manchester United hero, raised the torch in front of the Trinity statue, which depicts United's "Holy Trinity" of himself, George Best and Denis Law. 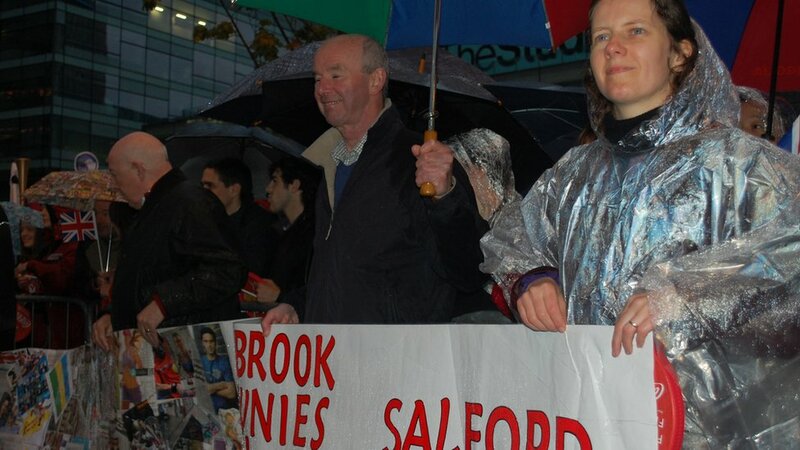 Sir Bobby handed his torch on to Heather Davidson with the statue of Sir Matt Busby looking on outside Old Trafford Stadium. 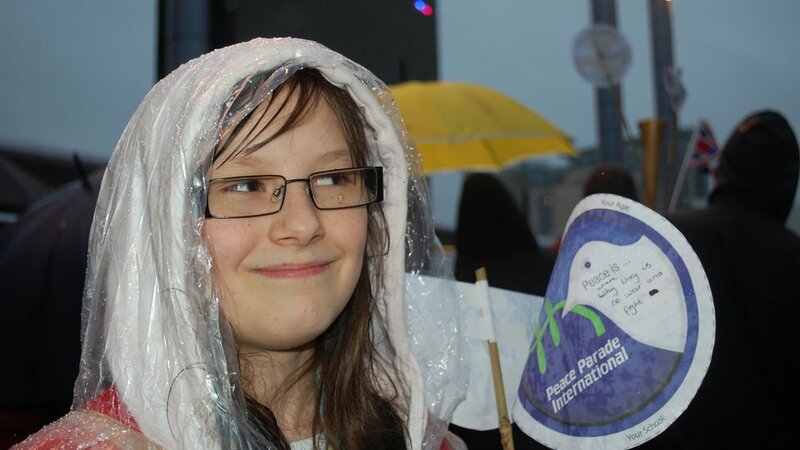 Eve Bell, a student at the Oasis Academy near the torch's starting point at Media City, was determined to see the Olympic flame. “It’s my 13th birthday and this is a great way to celebrate,” she said. 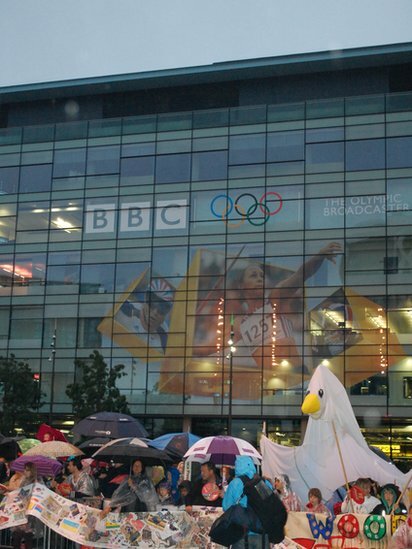 Staff and children from the Oasis Academy school near the BBC's MediaCity HQ, came to see the torch as part of a peace project. More than 200 scouts, guides, brownies, and cubs spent the night in the Imperial War Museum so they would get a prime spot for viewing the torch. They braved the weather to get a front-row spot. Bang tidy! 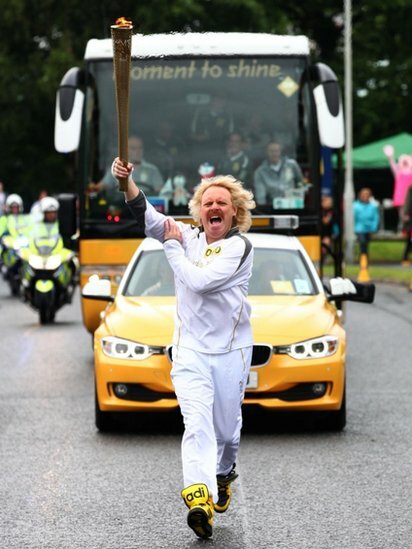 Keith Lemon, the comic character played by Leigh Francis, ran with his trademark bandaged hand and Eye of the Tiger blasting out in the background. 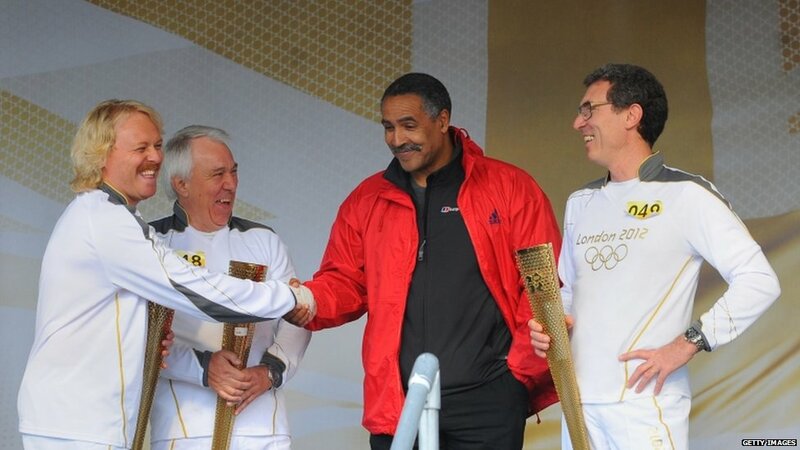 Leigh Francis, aka Keith Lemon, met former Olympian Daley Thompson alongside torchbearer Robin Money (L) and Gil Steyaert (R).